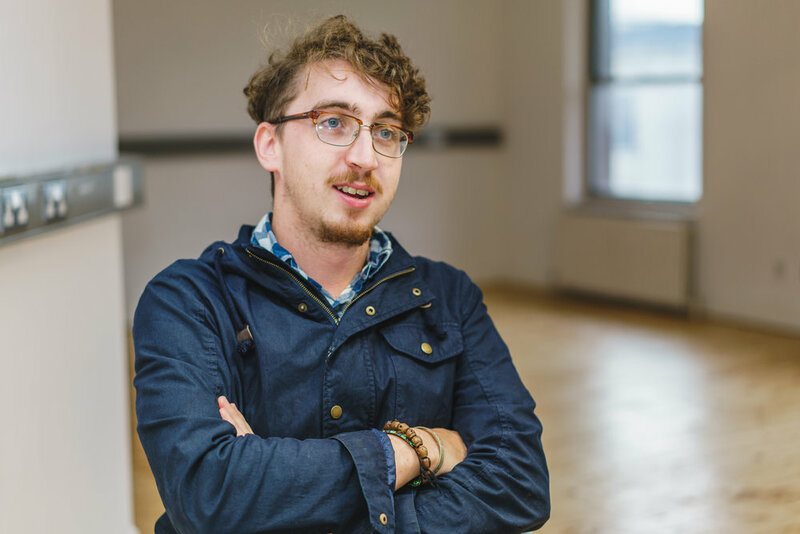 Oisín is a co-founder of Pan Narrans and a writer and director for both stage and screen. For Pan Narrans he directed I, Banquo, How These Desperate Men Talk, co-wrote Ghost Vault and both co-wrote and directed the award winning My Left Nut. Other theatre work includes localising Willy Russell's script of Educating Rita to 1980s Belfast for the Lyric Theatre, and working as Assistant Director on on the project. He was also Assistant Director on the the Lyric’s production of Good Vibrations, and worked closely with Colin Carberry and Glen Patterson on their translation of the story from screen to stage. Oisín works as a filmmaker and has directed several documentaries, including All For Show (BBC NI True North), Bbeyond (BBC Arts Show), Borderlands and Unfinished Revolution (De Correspondent, NPO2), and his first feature BOJAYÁ: Caught In The Crossfire will premier at Hot Docs Film Festival 2019. Michael is a co-founder of Pan Narrans and a writer and actor. For Pan Narrans he has acted in I, Banquo, How These Desperate Men Talk, Ghost Vault, BASH: Latter Day Plays, co-wrote Ghost Vault and co-wrote and starred in My Left Nut. Through this scheme they wrote for the BBC TV show Soft Border Patrol, and were shortlisted for season 4 of BBC 3’s The Break. Mick and Oisín’s latest play The Alternative was the winner of Fishamble’s A Play For Ireland initiative. As part of its 30th year in 2018, Fishamble: The New Play Company set out to find one, big, ambitious play, that bursts with humanity and tackles a subject about which the playwright feels passionate - A PLAY FOR IRELAND that captures the zeitgeist of the country, that demands to be produced. The Alternative was selected from nearly 400 applicants and will premiere in the Dublin Theatre Festival as part of its nationwide tour in association with Draíocht, Everyman, Lime Tree Theatre & Belltable, Lyric Theatre, Pavilion Theatre, Town Hall Theatre in September and October 2019.